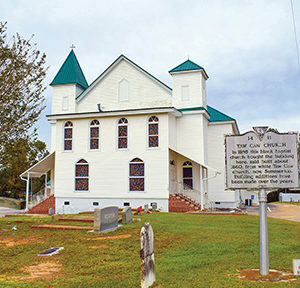 Constructed in 1860, this rectangular frame building with two large towers on the front corners initially housed a biracial Baptist congregation, with blacks worshipping in the large balcony section. After the Civil War, the black members formed a separate congregation, meeting initially in a brush arbor. 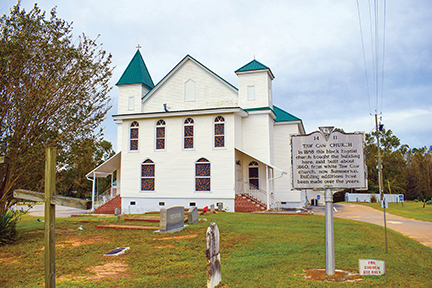 In 1885 they purchased the building from their former owners, who built a new church in downtown Summerton. Over the years a number of additions and changes have been made to the original structure.